DeMolay is an organization dedicated to preparing young men to lead successful, happy, and productive lives. Basing its approach on timeless principles and practical, hands-on experience, DeMolay opens doors for young men aged 12 to 21 by developing the civic awareness, personal responsibility and leadership skills so vitally needed in society today. DeMolay combines this serious mission with a fun approach that builds important bonds of friendship among members in more than 1,000 chapters worldwide. The namesake of the Order of DeMolay was born in Vitrey, Department of Haute Saone, France in the year 1244. 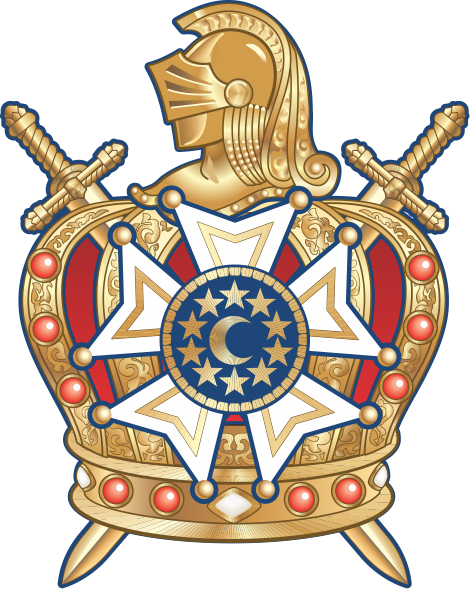 At the age of 21, DeMolay joined the Order of Knights Templar. The Knights Templar was an organization sanctioned by the Roman Catholic Church in 1128 to guard the road between Jerusalem and Acre, an important port city on the Mediterranean Sea. The Order of Knights Templar participated in the Crusades and earned a name for valor and heroism. With many nobles and princes sending their sons to join the Knights Templar, the Order also became very wealthy and popular throughout Europe. In 1298, Jacques DeMolay was named Grand Master of the Knights Templar, a position of power and prestige. As Grand Master however, Jacques DeMolay was also in a difficult position. The Crusades were not achieving their goals. The non-Christian Saracens defeated the Crusaders in battle and captured many vital cities and posts. The Knights Templar and the Hospitalers (another Order of Knights) were the only groups remaining to confront the Saracens.